Early Days was founded in 2012 by parents and birth professionals, including Meg Gluckman, Postpartum Doula, from West Seattle who wanted to create a place for new parents to talk about the realities of parenthood. The MotherWoman Perinatal Support Group format we use helps create a safe space for us to talk about everything from the mundane to the life changing moments we experience as parents. Alyson is the mom of a very active preschooler and growing infant. Before babies, she was a Kindergarten teacher, dance teacher and kid enthusiast. Alyson chose to become a Certified MotherWoman Facilitator because she received so much support when she attended Early Days as a new mom and wanted to help other moms get similar support. In addition to being managing director of Early Days, she is the head of development for her kids and the household manager of her home, i.e. a stay-at-home-mom! Rae is a mother of two, a preschooler and a little one. She works part time at Nurturing Expressions and really enjoys helping families get their breast pumps to help them on their breastfeeding journey. She became a certified Lactation Educator and plans on becoming a postpartum doula. She is passionate about working with Early Days because she really believes in supporting parents during the challenges of adjusting to new parenthood! A, more to come . . .Megan is mother to an enthusiastic toddler and a young baby. She entered motherhood with a challenging fussy baby, and learned the importance of community support in navigating the ups and downs of new parenthood. She is grateful for the opportunity to volunteer with Early Days as a MotherWoman Certified Facilitator. 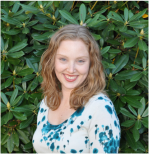 Megan is a Licensed Mental Health Counselor and has a therapy practice on Beacon Hill focused on perinatal mental health. She is also co-founder of Transition to Parenting, a non-profit that provides ongoing educational opportunities to support parenting for young children, aged 0-5. A trained counselor, more to come . . .